I won a free HIFU (High Intensity Focused Ultrasound) skin tightening treatment from Shining Way Esthetics in December of 2018. Brenda Musia performed the treatment on me. Brenda is a fantastic esthetician and is doing quarterly facials on me going forward. My first one will be at the end of March of 2019, when I go back to do my “after” pictures from my HIFU treatment. No one in their right mind would pass up an opportunity for a free treatment that boasts the benefits of collagen production and skin tightening. So, on Friday, December 28, 2018 I found myself at Shining Way Esthetics in Katy, TX to have the HIFU treatment done. HIFU (High Intensity Focused Ultrasound) uses ultrasound to penetrate deeply through the layers of skin to encourage collage production and tightening of the skin. It is also used for skin lifting and body contouring. It also reduces wrinkles, shrinks pores, improves skin tone, and can reduce fat deposits under the chin and on the neck. It is known as a non-invasive facelift. This treatment can be used on other areas of the body, such as the décolletage, abdomen, triceps (bat-wings), thighs, and under the buttocks. While there can be some immediate results (depending on the person), most of the result will occur over 3 to 7 months’ time. And the result can last up to two years, but certainly for at a year. The treatment starts by using a numbing gel on the face. We did an all-over application at the beginning. What I suggest is to do numbing gel on the first and or second sections, then when the treatment is happening on the first and or second section apply the numbing gel to the third and or fourth sections. So the numbing gel will rotate around the face doing its job while the treatment occurs on the other parts of the face. This will prevent the numbing gel from wearing off by the time you get to the last sections. Two all-over face treatments are performed at different intensities to reach different depths of the skin layers. You want the numbing gel to still be working by the time the treatment gets to the second round. My total treatment time was about 2 hours. This was a new treatment for the spa and for Brenda, so she took her time during the treatment. The more she does it the more efficient she will get. It feels like little electric pulses, zapping or tinkling sensation. Each person has different areas that may or may not be sensitive on their face. My sensitive area was my lower cheek and jaw area. I’m guessing that, that is the area of my face that needed it the most, because that was also the area of my face that had mild swelling and soreness for a few week after. I felt it in the shallow skin area on my forehead, but most of the other places were painless, with the numbing gel in play. Once the numbing gel wore off, I felt much more of the electric pulses, but it wasn’t unbearable. Once the treatment was completed, she cleaned me up, moisturized me and I was on my way! I had no redness left on my face and no visible swelling after the treatment. In 3 months I am going back to Shining Way Esthetics to see Brenda to take “after” pictures. After that time I will update you on my results. I was told not to use any hot water on my face for 24 hours. I also thought that it would be a good idea to be very gentle with my face for the first 4 days after treatment. I used lukewarm water, a gentle cleanser, a calming toner, and moisturizers. My favorite moisturizers of late are: Daytime – Andalou Naturals Probiotic +C Renewal Cream and Nighttime – Andalou Naturals Fruit Stem Cell Night Repair Cream. I didn’t use anything scrubbing on my face, no cleaning brushes, no wash cloths, no exfoliators, nor glycolic acid or anything of the like. I think I waited till day 5 before using Derma-E Vitamin A Glycolic Facial Scrub. To help your face in rebuild collagen, I do suggest using hyaluronic acid. Once your face is clean, while still damp add the hyaluronic acid, then wait 30 seconds, and add your moisturizer last. This is something you can do all the time, not only after this treatment. Check out my post on the best beauty brands to use, here. Also, LED light therapy can help with acne, reduce fine lines and winkles, and build collagen. Here are a couple inexpensive options from Amazon. One and Two. It wouldn’t be me writing to you unless I spoke to you about building your skin from the inside out. The best thing that I’ve done for my skin is take collagen peptides. I take unflavored collagen peptides in my coffee every morning. Vital Proteins also has flavored collagen options and collagen coffee creamers (Mocha, Vanilla, Gingerbread, Coconut). Vital Proteins developed specific products for beauty, check them out below. A Few More of My New Favorite Things…. The second best part, aside from saving money, is that all your favorite pantry items will be delivered to your door and you don’t have to go to stores which also saves you time and energy. And who can’t use more money, time, energy?!?! Going into the spring and summer months in Texas, I tend to want to wear a lighter foundation, so that it feels like a second skin and not melting down my face in the heat and humidity. While I still love Araza Natural Beauty’s 7-in-1 Coconut Cream Foundation and Green Tea Cream Concealer, it is full coverage and feels better for me to use during the cooler months when the air is dryer vs. the summer months. If you didn’t know already….in Texas we only really have two seasons….summer and winter-ish. I recently found / was introduced to (thank you Ulta sales girl) a brand called juice BEAUTY and their Stem Cellular CC Cream. Side Note: This is my choice for a better and organic ingredient replacement product for BareMinerals’ Complexion Rescue Tinted Hydrating Gel Cream, which I had been using for years. I’m finding that this new juice BEAUTY CC Cream is the perfect product for me. It is light, doesn’t sit in my fine lines and wrinkles, it has SPF, it has antioxidants, moisturizes, and it blends perfectly into my skin. I do not feel it on my face and my skin tone looks very even with it on. The one thing…..it doesn’t smell good. I’ve smelled worse, but it isn’t “fragranced”, which is a good thing BUT it doesn’t smell good. I only notice the smell when I’m applying it to my face. At this time, this is the only product that I’ve tried of this brand, but after exploring their webpage; I think I’ll be trying some other products! I was told that their PHYTO-PIGMENTS Flawless Serum Foundation is also a very good product and is a medium to full coverage make-up that can be built-up for as little or as much coverage as you prefer. Go to Ulta and color-match the product to your skin and then……if you go to their webpage (I linked it above and below) there is a little button that pops up on the bottom of the page that says “Get 15% off your first order” – do that! It is very important to me that I use organic, clean, non-poisonous make-up on my skin. The performance of a product is important, but so are the ingredients used and where they are sourced from. Finding a brand that is committed to the safety of their products to people, animals, and the environment is truly unique. Check out the links above for more information. Side Note: Beauty Counter is also one of these brands. I feel good supporting brands like juice BEAUTY, Araza Natural Beauty, and Beauty Counter (I buy through Hayley Mason). They are doing things right! I hope you choose to check out juice BEAUTY products; I’m loving them! A Few of My New Favorite Things…. The plain ones are tasty too; I usually order both. The second best part, aside from saving money, is that it all gets delivered to my door and I don’t have to go to stores thus also saving me time and energy. Soooooo I HAVE TO tell you ladies about a make-up that I’ve found and absolutely love….it is the epitome of natural! It is made with the most pure and certified organic ingredients so it will nourish your skin. You can feel good about putting it on your skin. It is Paleo Certified! 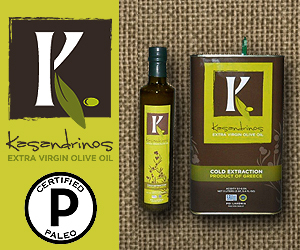 It is made in the U.S.A., cruelty free, and gluten free. I started using the 7 in 1 Coconut Cream Foundation and the Green Tea Cream Concealer. 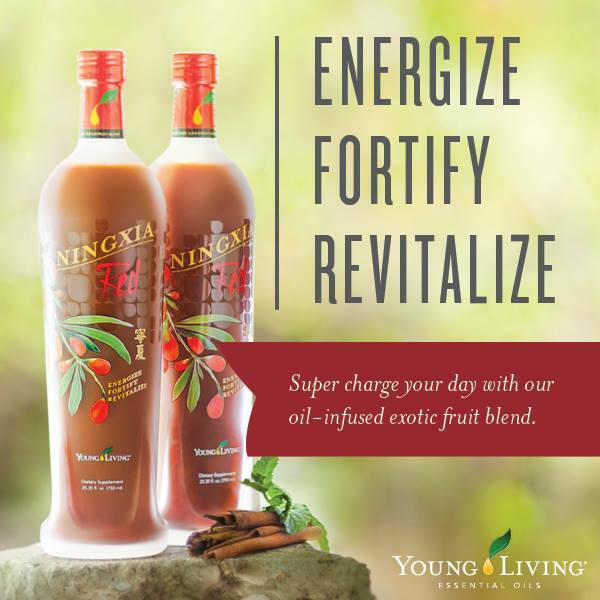 I cannot speak more highly of these products! A little goes a long way. You can get as little or as much coverage as you want. It doesn’t feel like I’m wearing anything on my face AND it stays on all day (even with my touching my face). BEST OF ALL it doesn’t settle in my fine lines and wrinkles! Araza has a Jojoba Infused 100% Natural Mineral Powder Foundation for those who prefer a powder over a cream and a Natural Clay Finishing Powder as well, that I’ve not used yet. You can order sample sizes of all their products for $2.50 to test out colors. Last but not least Gift Cards for all the favorite ladies in your life. I have been struggling with my eye lashes falling out (instead of my outer ¼ of my eye brows) due to issues with my thyroid and adrenal dysfunction due to chronic stress. Trust me when I say, very little makes you feel more unattractive and less womanly like having bald spots in your eyelashes (well except bald spots on your head, which I’ve had/have too). I have been using Wellness Mama’s “Natural Hair Growth Oil for Men” on my eye browns and eyelashes for a while now and it works beautifully! You do have to use it most every day for it to work well and if I go a long time without using it my eye lashes start falling out again, but my eye brows stay and look great. She also has one called “Luscious Lashes Eyelash Growth Serum” which I have not made or used. But, because of this article I did purchase Emu Oil to use on my skin. Sooooo, I was on Pinterest the other day – surprise surprise….and I saw a Pin about adding Cedarwood and Lavender essential oils into mascara to help grow long full luscious eye lashes. Since everything counts and I sometimes forget to use my serum “for men” that works great “for women”, I figured it certainly wouldn’t hurt to try this out. I grabbed my mascara and added one drop of Cedarwood and Lavender oils to it. AND this morning when I was putting it on – I noticed it….my eye lashes were fuller and longer than they had been. I am so EXCITED!! This is a very easy and effective way to grow beautiful full and long eye lashes. Hit me up if you are interested in obtaining these oils or use this link to sign-up to get them. I love this face wash! I gave my sister the ingredients and directions as a Christmas gift this year. She sent me a text approximately two weeks later and told me that she has seen a big difference in her skin, loves it, and will continue to use it! This is easy and fast to make….cause I like easy and fast. Also very cost effective! Aloe Vera Gel is the base. I like the brand shown below. 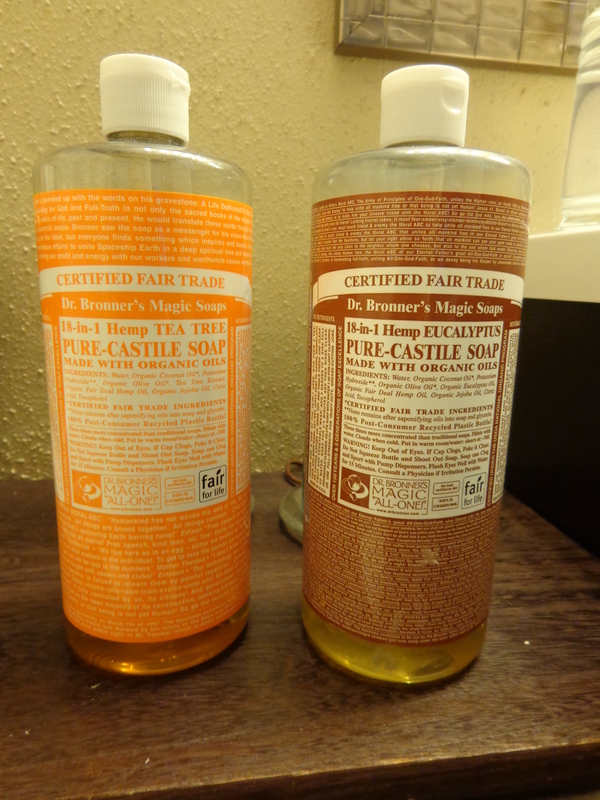 Dr. Bronner’s Pure Castile Liquid Soap. I like using the tea tree oil one for my face wash (orange). Get a container you like – I personally re-purposed a small bottle of Dr. Bonner’s liquid soap and use that for my face wash. Depending on the size of your bottle will depend on how much of each you use. Use equal parts of Aloe Vera Gel and Dr. Bronner’s soap and as much Rosehip oil as you like and get results with. I have used less and more (by accident) and just went with it. 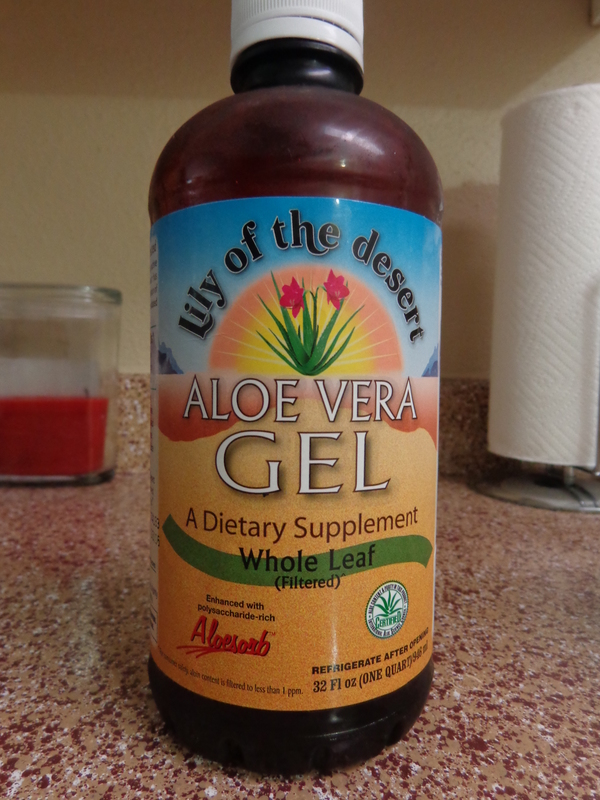 I use 1/4 cup of Aloe Vera Gel, 1/4 cup of Dr. Bronner’s soap, and 2 Tbs of the Rosehip Oil. For a bigger bottle you can double these measurements. 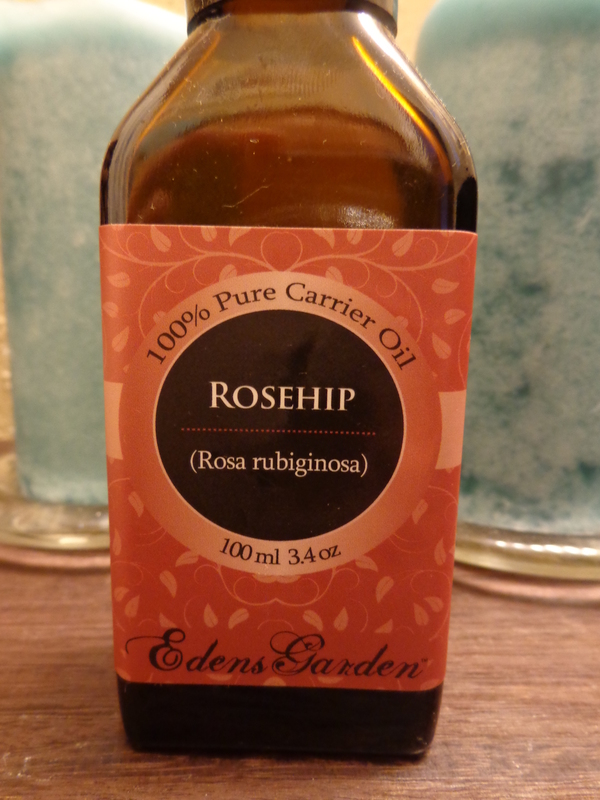 The best part of this recipe for me is that it gets all my make-up off and my face is not striped; the Rose hip oil makes my face feel supple, however I still use my skin toner and moisturizer after. In the morning when I do not have make-up on I love to use unfiltered raw local honey on my damp face, let it sit for a while and then rinse it off. Honey is really healthy for your skin. What we do not put on our skin is very important. Our skin absorbs what is placed on it. I have slowly switched to organic and non-toxic skin care products. Some products I have found are much less expensive and easy for me to make myself. This also is a comfort that I know exactly what I am putting on my skin. 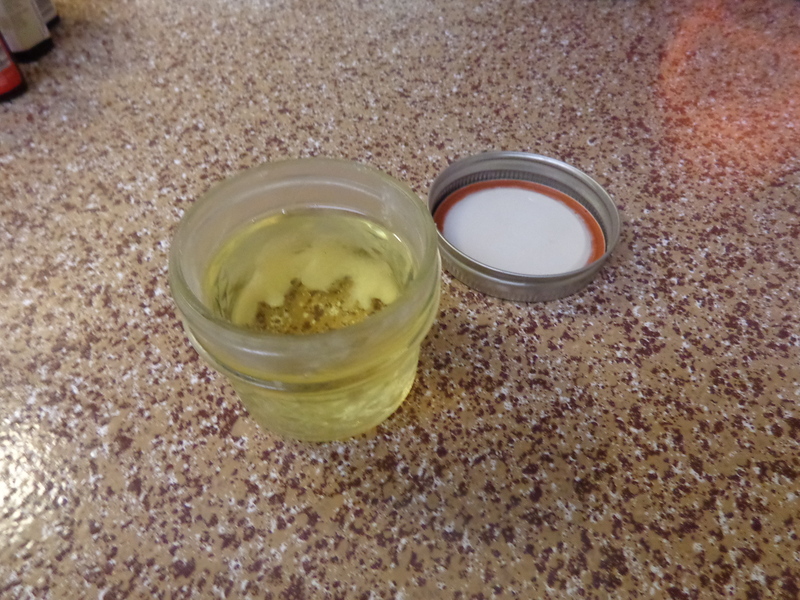 Since it is winter time I like to warm my coconut oil slightly so it melts. It does not take much heat to do this, I do not like to warm it very hot. During summer months it is usually warm enough in the house that the coconut oil softens and is easily mixed with the essential oils without heating in a pot. The amount of oil you use will depend on the size of the jar you use. I prefer to use a shallow wide-mouth jar so it is easy to get out and you can easily reach the bottom of the jar and none goes to waste. For my body I like to use a little bit of lavender and eucalyptus oil. I do not measure, I just shake a little out. Then I use about twice as much of the grapefruit and lemongrass oil. This combo makes you smell delicious and is good for the skin. Stir it around till mixed thoroughly and pour it up in a glass jar with a lid. Once it cools down the coconut oil will solidify. When it comes time to use, I just scoop some out with my fingers and it will melt in your hands and rub it into the skin. NOTE: I got the idea for this recipe from http://draxe.com/grapefruit-cellulite-cream/ – however I like add several different essential oils that is also good for the skin other than just grapefruit oil.